So it was going to be a quilt. 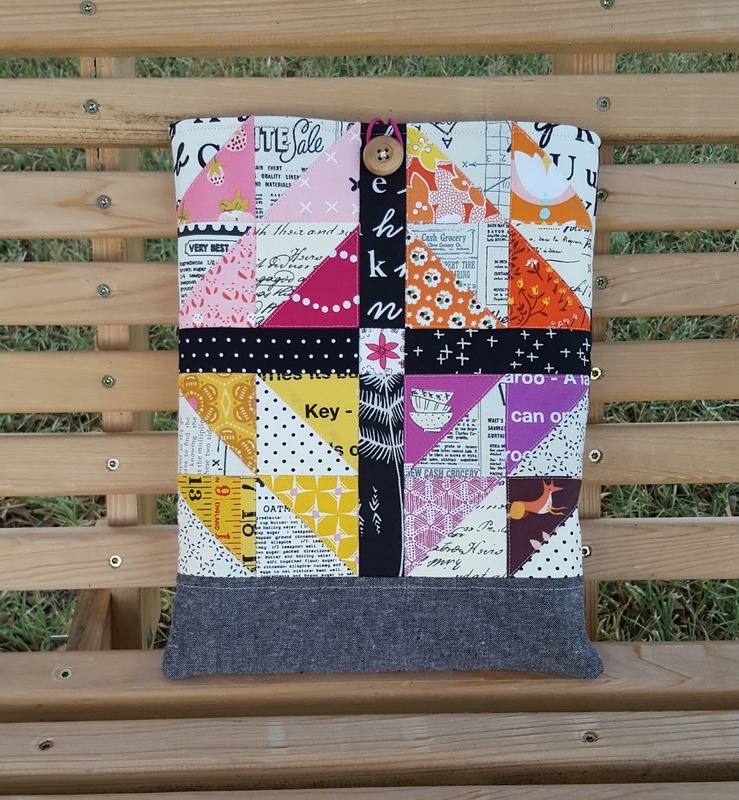 I had finally gotten together all my low volume prints, cut the strips, and started work using this fabulous tutorial from my friend Maureen for my first quilt-as-you-go project. But then I started thinking about how amazing those quilted panels would look on my family room couch. The best thing about low volume pillows is that they match everything -- and always look effortlessly cheerful and fresh while doing it. And then I thought that I could pair them with a great floral print by Cloud9 Fabrics that I'd been saving, just perfect for the backing. 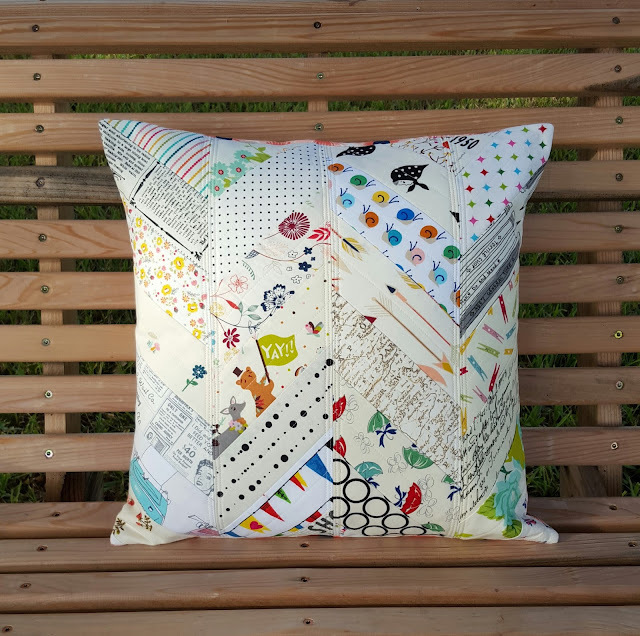 And then I realized that the panels I had quilted would be enough to make three whole pillows...maybe even four. 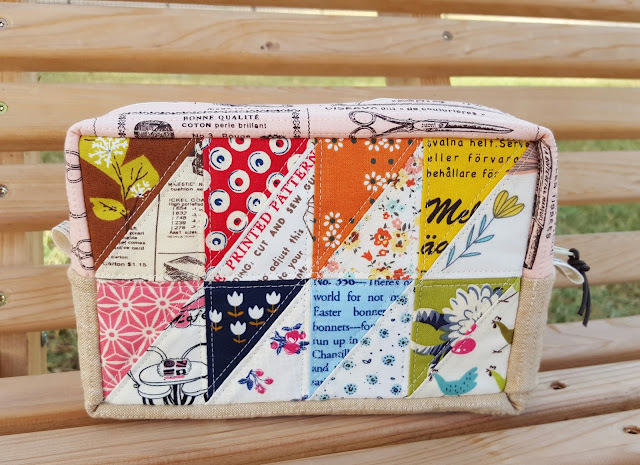 I was so happy to make a few Quilt Market samples for my friend Maureen this month, using her new Fleet & Flourish collection for Art Gallery Fabrics. You can see pictures of her stunningly beautiful booth in this wonderful post she wrote about her experience at Market last weekend. 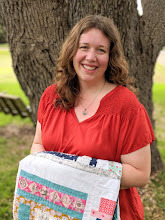 Maureen is one of the most talented people I know, and I'm so thrilled to see her thriving in this new career as a fabric designer! 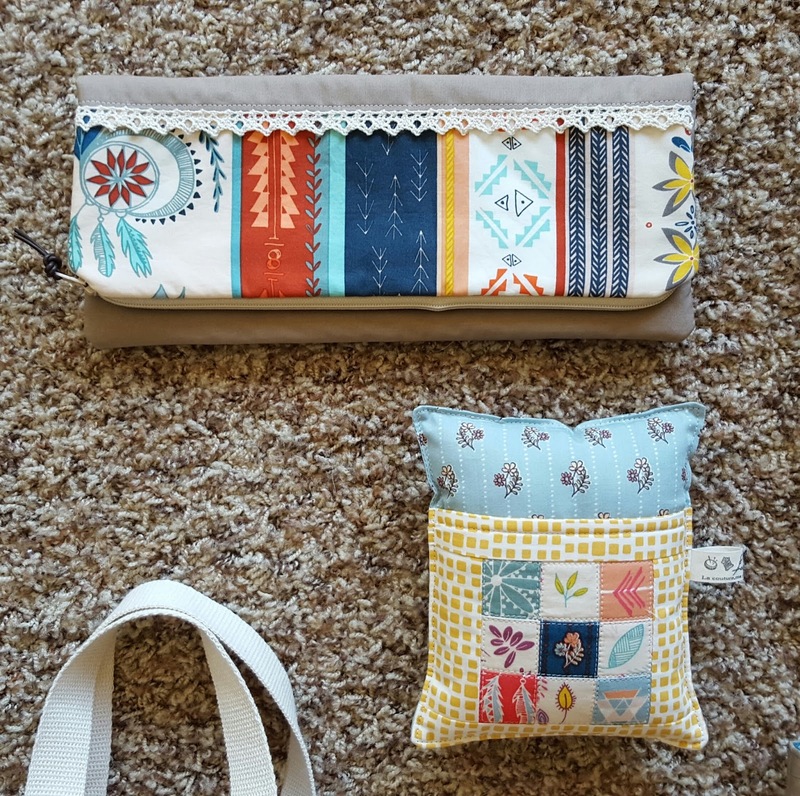 My assignment was to make bags and clutches for her booth. 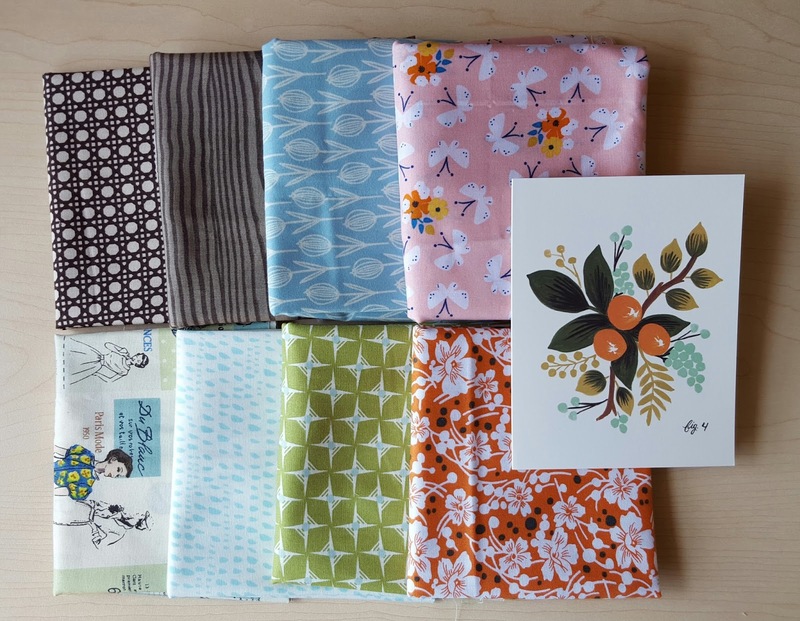 Maureen sent me a mailing envelope stuffed full of Fleet & Flourish strike-off pieces as well as a good number of AGF basic prints and solids. It was really fun to just be creative and make things up as I went along. Since she was going for a romantic, bohemian vibe, I added lace and leather details wherever possible. I haven't really sewn with lace accents before, but it was a fun challenge. 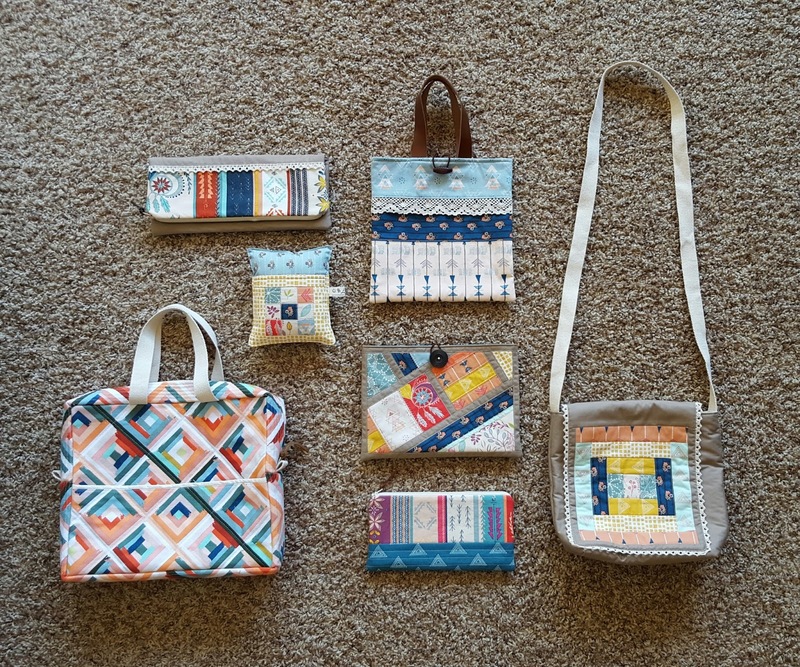 Leather always pairs well with patchwork. 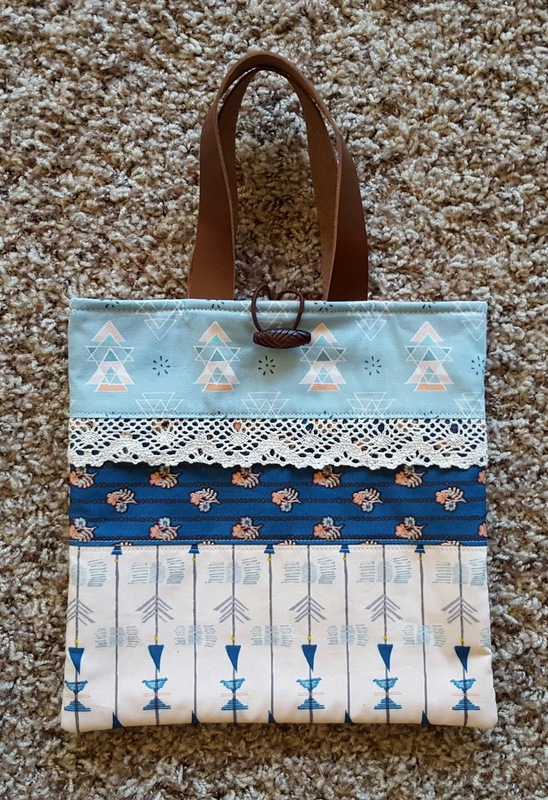 I use leather straps as zipper pulls on all my pouches now, and I actually cut one longer purse strap into two pieces for the handles on this mini tote bag. My favorite project is probably the laptop bag I made using her canvas Roadside Guides print. I definitely need to make another one of these some time. 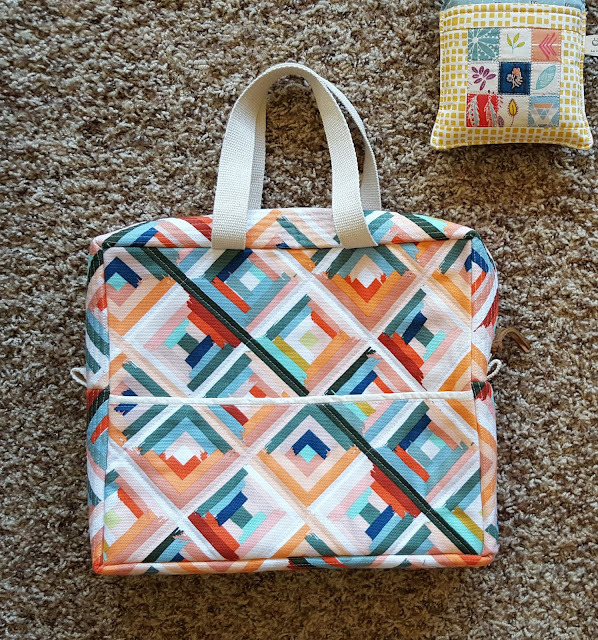 This was my first time working with AGF canvas, and I was really impressed. This is the some of the softest canvas I've ever seen. 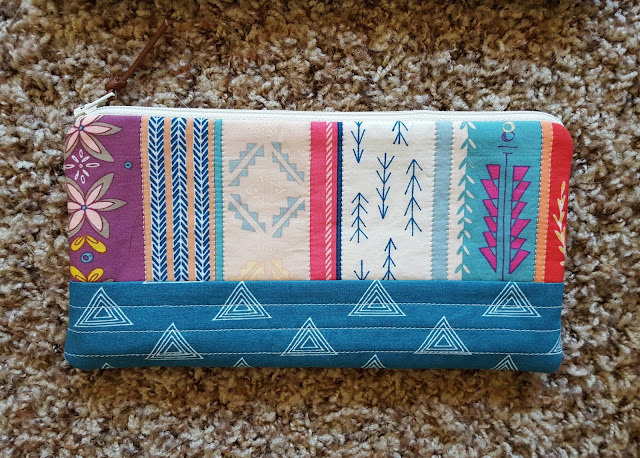 This tablet case was inspired by a clutch I had seen on Pinterest. I liked the mosaic effect of sewing pieces together with thin sashing and then tilting it all a bit to one side. 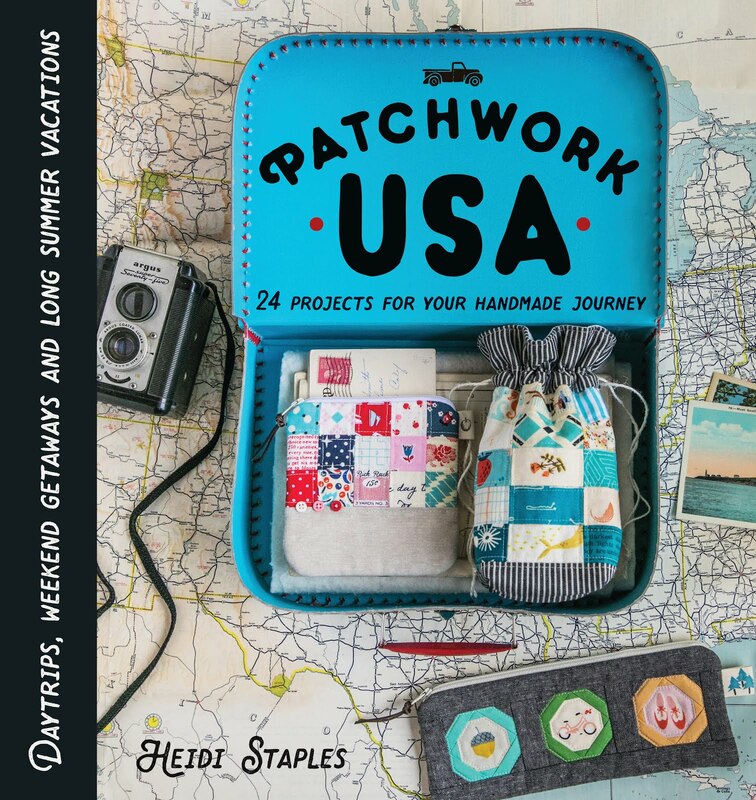 And yes, I couldn't resist adding a Deluxe Pincushion to the stack of projects. I just love fussy cutting the tiniest scraps for these pincushions. It's such fun! You can check out the entire line of Fleet & Flourish at the AGF website here. 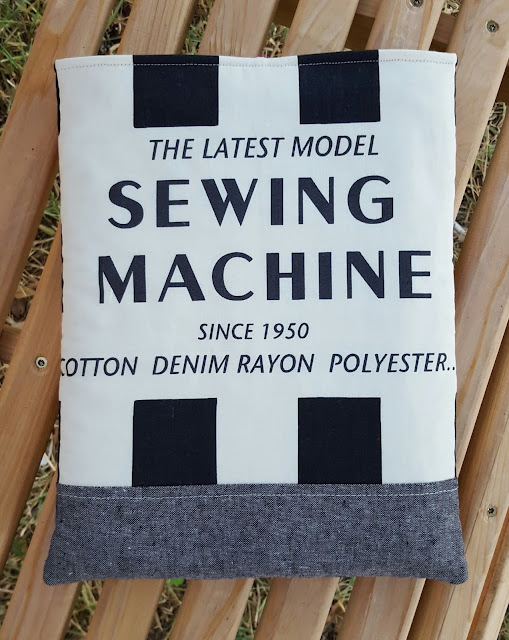 I have no doubt that you'll enjoy sewing with it as much as I did! 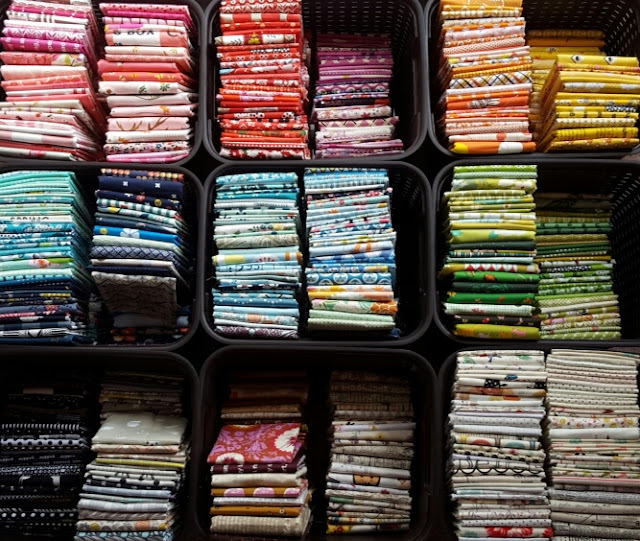 One of the best things about getting my fabric stash organized after our move was that it got me excited about doing fabric auditions again. I am absolutely crazy about my new Sterilite chocolate colored plastic woven baskets which I'm using to sort my prints by color. They're large enough to hold a lot of fabric, and they perfectly match my great-grandfather's old cabinet where I keep them. 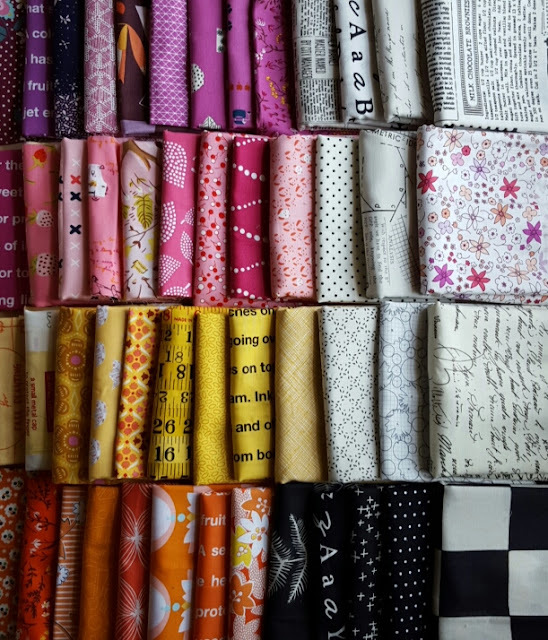 Now that I can see all my prints so easily, it's been a lot of fun to get back into my weekly habit of putting together stacks of fabric for real or imagined projects. I try to share at least one of these bundles on Instagram each week, and it's been great to start building up my collection of ideas again. I call this stack "Librarian," and it reminds me of old libraries and vintage books -- two of my favorite things. I really like this mix of colors along with all the black and white prints. I don't have a project in mind for these fabrics yet, but I really would love to turn them into a quilt. 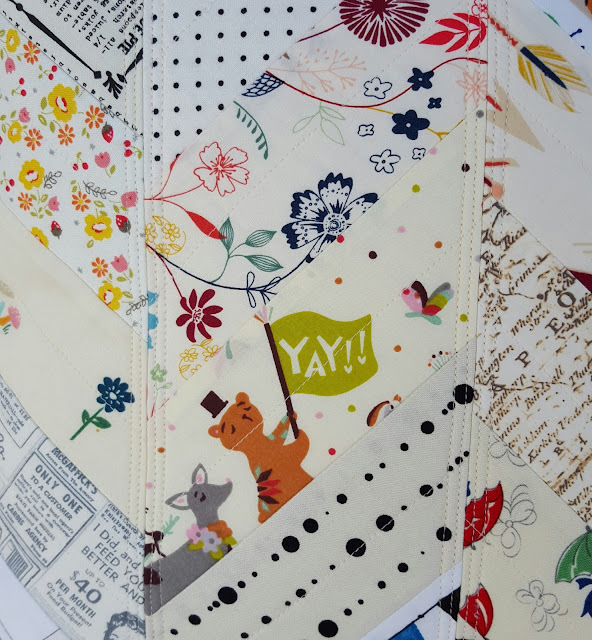 This stack was inspired by the Rifle Paper Co. note card on the right. 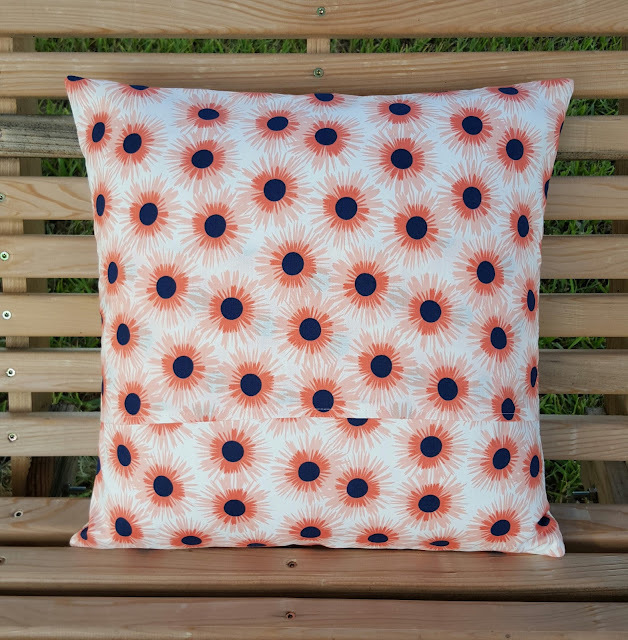 I named it "Summer House," and it reminds me of lazy August picnics and lush fruit orchards. This stack could work as is, but I'm not sure if I'm done rearranging and adding to it yet. 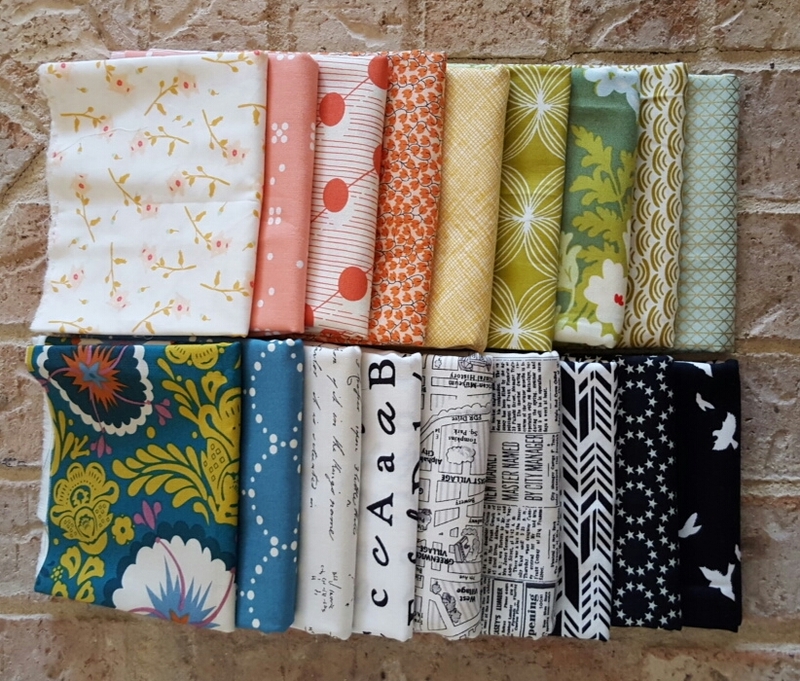 The more I play with this bundle, the easier it will be for me to decide what I want to make with it. That's the great thing about fabric auditions: they're a good way to get the creativity flowing whether I have a project in mind or not. Take a few minutes today and try creating a fabric audition of your own. For your inspiration, start with a color palette, a theme, a picture -- anything that you're loving right now. Share it with me through a link in a comment below or tag me on Instagram @fabricmutt with the hashtag #fabricaudition. I would love to see what you put together! 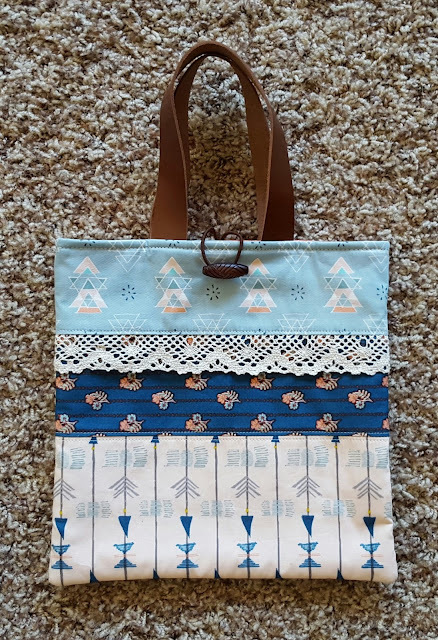 You'll find me over at Sew Sweetness today, helping to kick off Sara's annual Purse Palooza event. 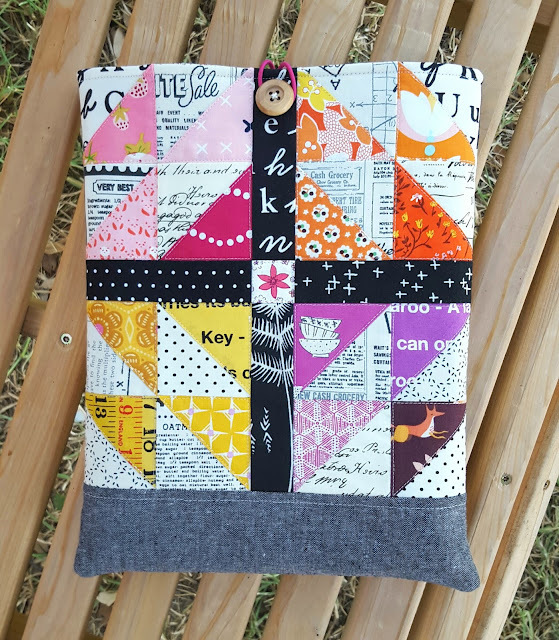 I'm reviewing one of my all-time favorite patterns, the Triangle Patchwork Box Pouch from Patchwork, Please! by Ayumi Takahashi. Go check it out! It's really easy for me to fall into a rut when it comes to block design. Most of the time, I'm perfectly content to just sew together a stack of squares and call it good. When I feel the need for something new, the best way to start is usually by sitting down with a pad of graph paper and my colored pencils, and that's exactly what I did to prep for today's book tour post. My friend Alyce has just published an e-book called DIY Block Design which is full of tips for creating your own quilt blocks. 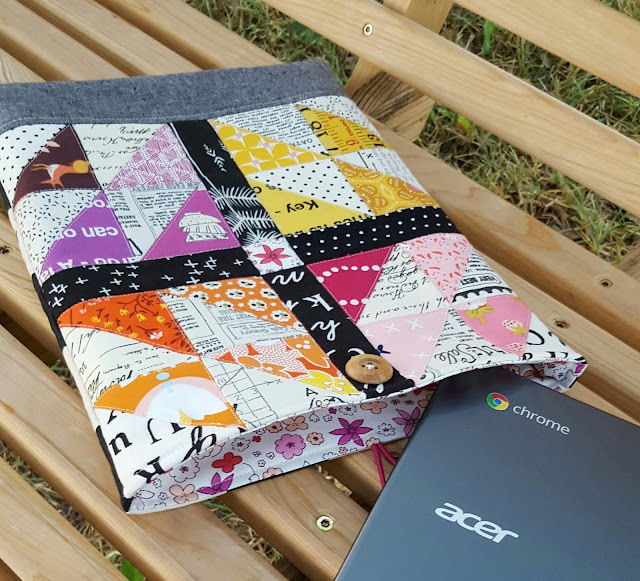 She covers all the basics of design, particularly the dreaded mathematics that go into quilting. 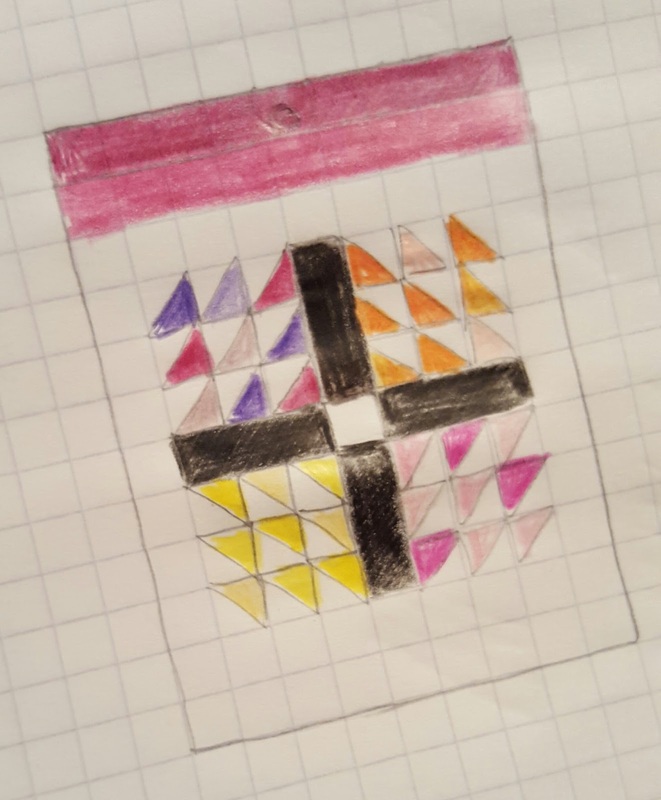 You'll find charts in here that are absolutely priceless, giving you all the math for common shapes like half square triangles and flying geese in a wide range of sizes. 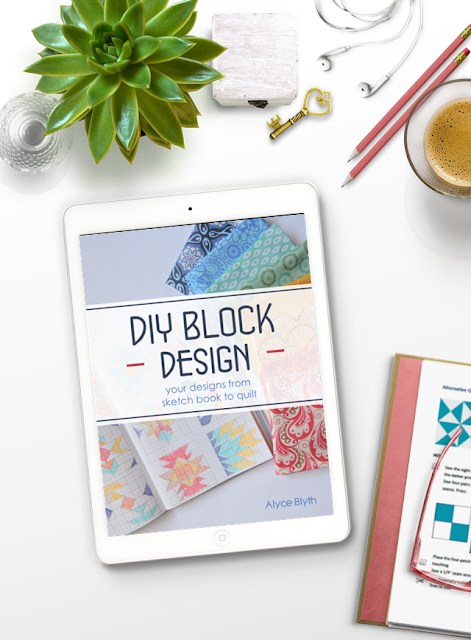 If you're a beginning quilter or if you struggle with the numbers, I highly recommend getting a copy of this little e-book. Alyce asked if I would talk a bit about my own design process for today's post, so I thought I'd walk you through the development of a project I made this week. 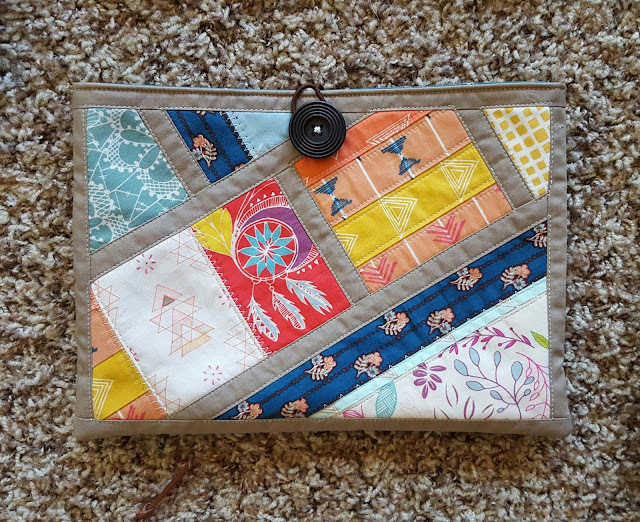 I've been needing a new laptop case for my Chrome Book which we bought earlier this year, and I wanted it to feature a quilt block on the front. After a bit of doodling at my desk the other night, this is what I came up with. I liked the mix of strips and half square triangles, although I wasn't sure about the size of the quilt block. 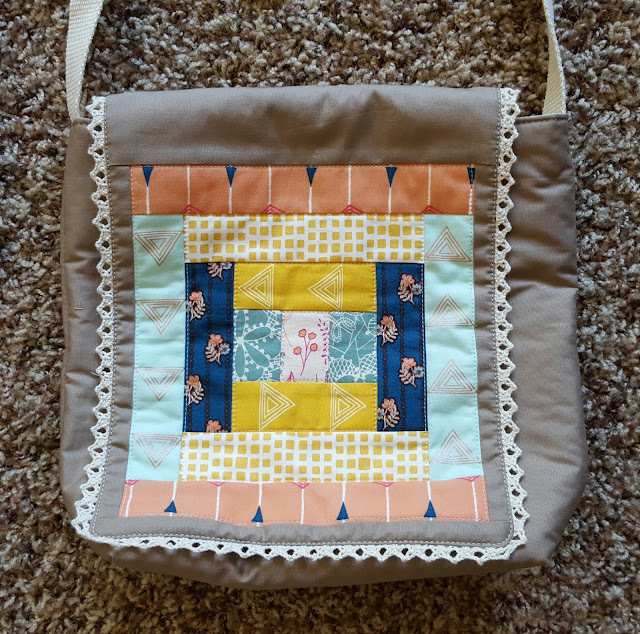 Math seemed to demand a smaller block centered on the case with a border around it, but I wanted the block to be bigger. 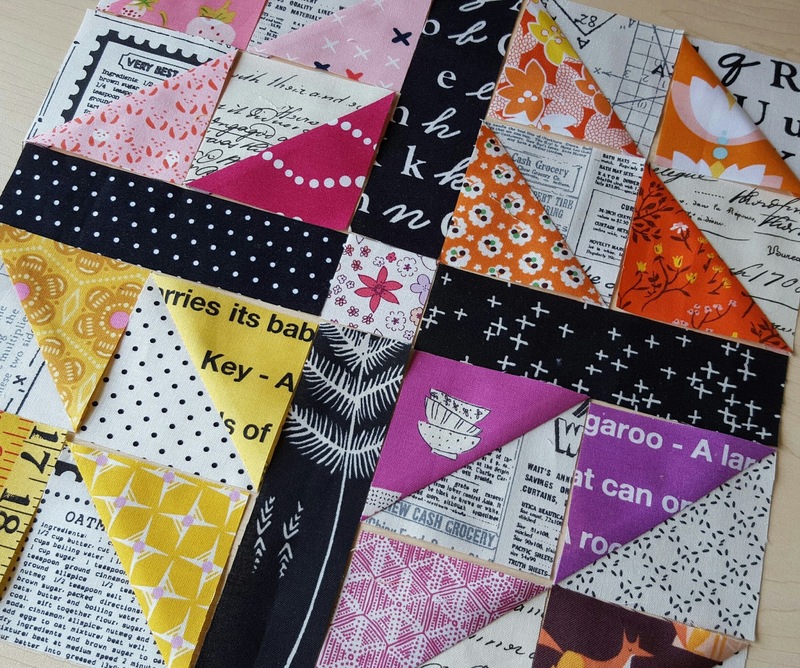 After some thought and a bit of time at the cutting table, I settled on this design -- almost the same except that it features four half square triangles in each corner rather than the original nine. For a project this small, I didn't mind settling for fewer but larger squares -- especially when it meant that I could fussy cut bigger pictures from each print. I added a strip of black yarn dyed Essex linen to the bottom of the block for a finished look to the case. A large piece from a recent checkered text print by Suzuko Koseki paired with the same linen made the perfect backing, and I lined the case with a sweet floral print by Aneela Hoey from Hello Petal. A button and hair elastic are currently my favorite type of closure for just about any case. It's easy, and it just looks cute. October 1 - Let the games begin! October 30 - Linky opens!